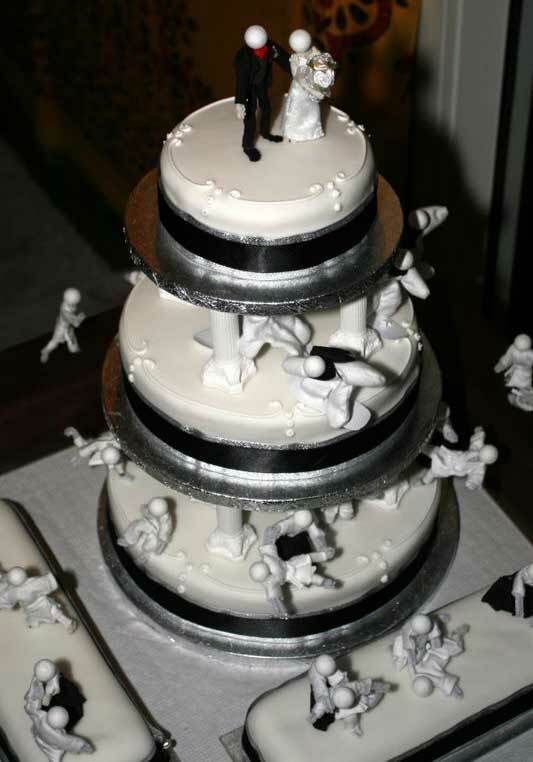 In 2006 two friends (Rob and Emily) asked me to put little people doing aikido (and snowboarding) on their wedding cake. It turned into a fiddly job that I was not going to be able to complete on time (weddings are deadlines) but my dear friend Masayo-san came to the rescue and, thanks to her, everything got done, the snowboarders got teeny backpacks and snow-suits, and the pipe-cleaner yudansha wore tiny hand-sewn hakama (“skirts") with little pleats down the front. The white belts were wire bag-ties. 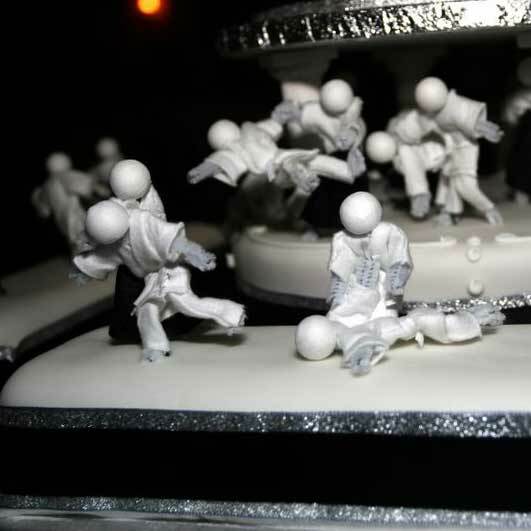 We were careful to make sure that the things the little people were doing to each other were all recognisable techniques from the core aikikai syllabus, because most of the people at the wedding would probably have noticed if they had not been. The bobble-headed figures are very much in keeping with the Fudebakudo “diagram” style. A few more low-res grainy photos at the Fudebakudo site.